Pay the $100.00 Non refundable registration and materials fee. Pick up your manual (Crew Pak). Obtain the required equipment. 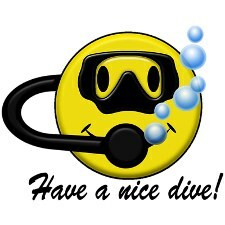 (Scuba Mask, Snorkel, Fins, Wetsuit, and Wetsuit Boots). These Items can be bought (Wetsuit rented) from a local Dive Shop such as Extreme Exposure in High Springs. Answer the “Quick Quiz” questions. Show up on time for your first class and let the FUN begin. In class we will watch a video, go over the Knowledge Reviews, talk about Scuba Diving, answer any questions you may have, and take a short quiz. In the water we will practice what we learned in the classroom. Certified PADI Open Water Diver!